The Floyd County Democratic Women's Caucus was founded to engage women in public service. The organization's four point purpose is to 1) increase the number of Democratic women engaged in the political process, in elected and appointed positions; 2) educate and advocate for issues that are important to women; 3) inspire, recruit, train, and support progressive Democratic candidates; and 4) support the Floyd County Democratic Party and its Central Committee. The Floyd County Democratic Men's Club was founded to promote the ideals and principles of the Democrat Party and to further constructive cooperation between individuals, organizations, and the Democrat Central Committee; to raise funds and assist the Floyd County Democrat Central Committee in its operations, and to promote the election of Democrats and to promote fellowship among the membership. The organization meets once per quarter, traditionally the second Wednesday in March, June, and September. An annual holiday gathering is traditionally held the last week of December in conjunction with the Floyd County Democratic Central Committee and the Floyd County Democratic Women's Caucus. Dues are $75 and include a meal at each meeting. For more information on the organization, please contact rcochran@brucefoxinc.com. The Mission of the Floyd County Young Democrats is to stimulate young people toward an active interest in governmental and civic affairs through a combination of social fellowship, community involvement, and political activism. Through the promotion of young people and their involvement in the political process, the FloydCounty Young Democrats work to support and advance policies of the highest principles and to increase the efficiency of popular government. 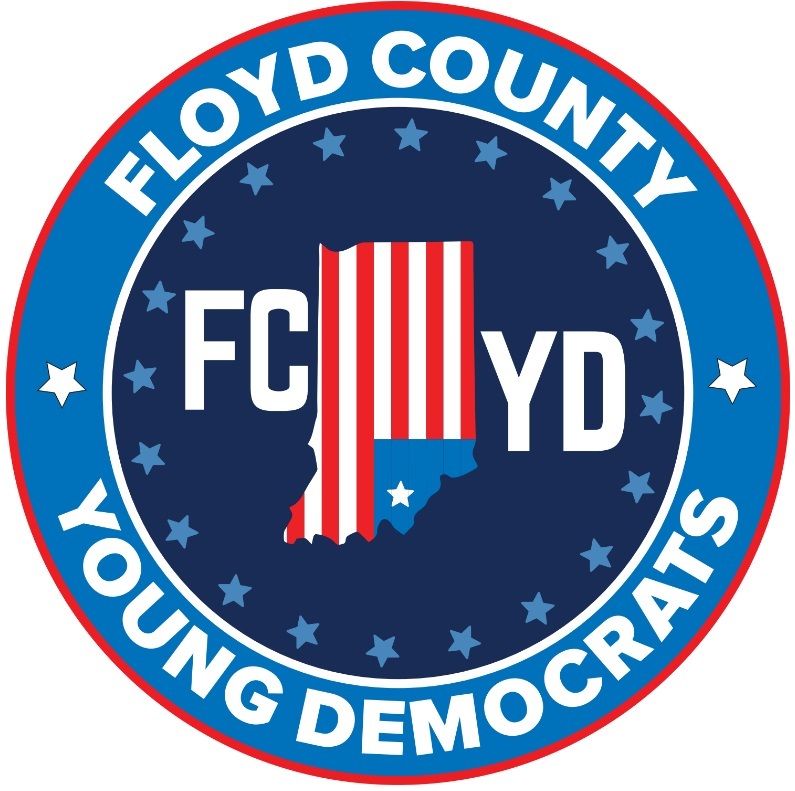 Through this mission, the Floyd County Young Democrats not only work toward the highest degree of justice and social welfare for the citizens of our country, but also sculpt future leaders from the young citizens in the Floyd County and Southern Indiana community. 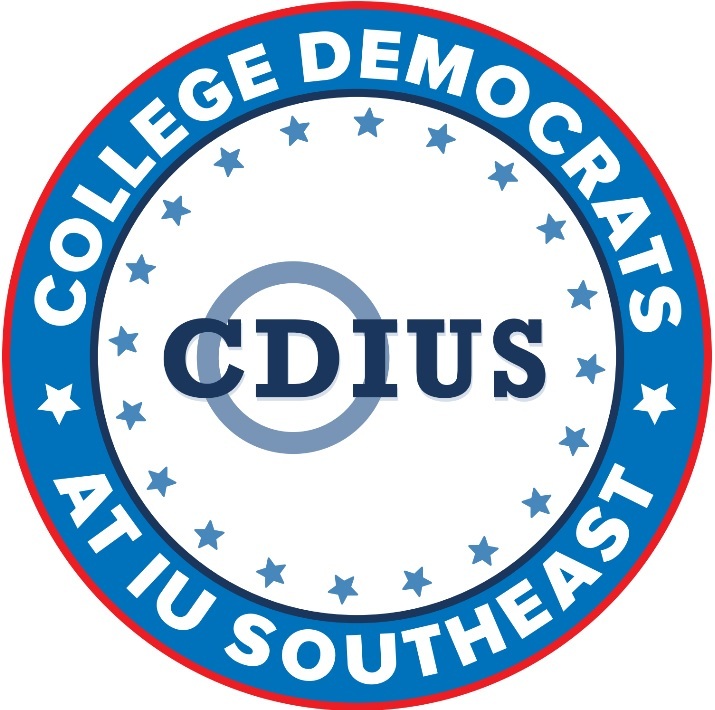 As the official student arm of the Democratic Party, the College Democrats at Indiana University are dedicate to organizing college students at IU Southeast in order to encourage and develop the participation of young Americans in the political process and the Democratic Party. The organization strives to better our community and promote the principles of equality, opportunity, social justice, and freedom within a just and strong society. As college students, they are dedicated to representing the interests of students and youth within the political process. The Indiana Democratic African American Caucus (IDAAC) was founded to enhance the Democratic party’s inclusion of African Americans in decision making, elections, public office appointments and party positions. The regional chapter works to promote the active participation of the African American community in local institutions as it relates to political empowerment, international policy, communications, rural development, environmental protection and community self-determination. The organization meets monthly every second Tuesday. Annual dues are $25 per person. For more information on the organization, please contact mh@miguelhampton.com or IDAACSIC@gmail.com.